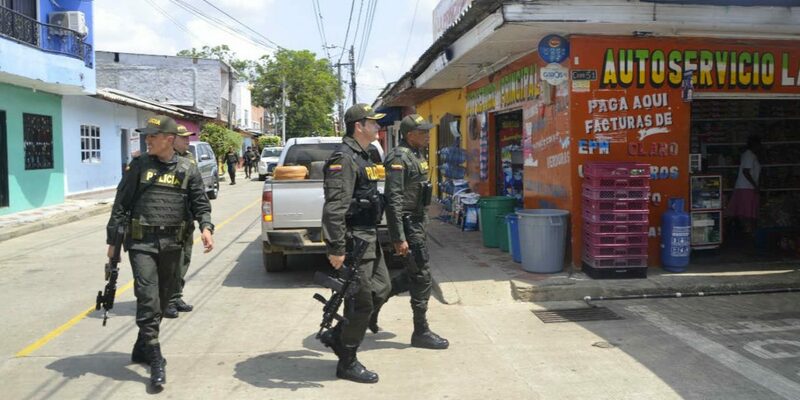 Ever since the Medellin Cartel, the Antioquia province has been at the center of the cocaine trade the Colombian government is trying to curb. The country’s most infamous drug cartel in history primarily smuggled cocaine made from Peruvian coca leaves. Following its demise, new drug trafficking organizations began moving coca growing operations to Colombia. Also after the death of Escobar, clandestine organizations from the region have continued to dominate the drug trade. In Antioquia, they found a safe haven in the northern Bajo Cauca region where state neglect, and the presence of guerrilla and paramilitary groups made a formal economy unsustainable. Consequently, coca cultivation, illegal gold mining have provided important income both for locals and illegal armed groups. Paradoxically, the demobilization of the paramilitary AUC (2003 – 2006) and the Marxist FARC (2016 – 2017), the largest groups in the conflict, went hand in hand with an increase in coca cultivation. While home to significant coca growing operations, Antioquia is mainly important for trafficking drugs because of its access to both the Caribbean Sea and the Pacific Ocean. This became a significant business in the 1960s when American and Colombian drug traffickers began trafficking marijuana to Florida. This drug was initially produced with Peruvian coca and began replacing marijuana in the mid-1970. Significant coca cultivation in Antioquia did not become an issue until the late 1990s when drug traffickers moved operations from Peru to lawless areas inside Colombia. Colombia’s largest drug trafficking organization of the moment, the AGC, operates from Uraba, the most northwestern region of Antioquia. Medellin is home to the Oficina de Envigado, the former enforcer army of Pablo Escobar that still exercises some control over border crossings and ports. Most of the province’s coca is cultivated in the neglected Bajo Cauca region where guerrilla group ELN exercises territorial control and protects crops. Following an agricultural crisis and a years-long increase in the price of coca, Antioquia in 2016 saw one of the biggest rises in cultivation of all Colombia. According to the UNODC, hectares used for the illicit industry went up 269% last year. Combined with local illegal mining operations, this makes Antioquia home to one of the largest informal economies in the country.